Venezuelan opposition leader Juan Guaido declared himself interim president in a defiant speech Wednesday before masses of anti-government demonstrators who took to the streets to demand President Nicolas Maduro's removal — a bold move that was immediately recognized by the Trump administration and a growing number of other Western nations. President Donald Trump called on Maduro to resign and said the US would use the "full weight" of its economic and diplomatic power to push for the restoration of Venezuela's democracy. Canada as well as Brazil, Colombia and several other Latin American nations followed suit in throwing their support behind Guaido. "Before the people and nations of the world, and as constitutional president. .... I've decided to break diplomatic and political relations with the imperialist U.S. government," Maduro told a crowd of red-shirted supporters gathered at the presidential palace. "Don't trust the gringos. They don't have friends or loyalties. 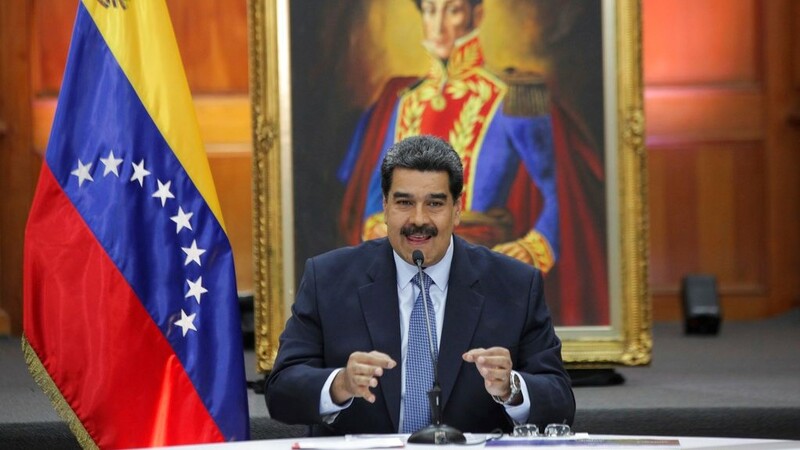 They only have interests, guts and the ambition to take Venezuela's oil, gas and gold." 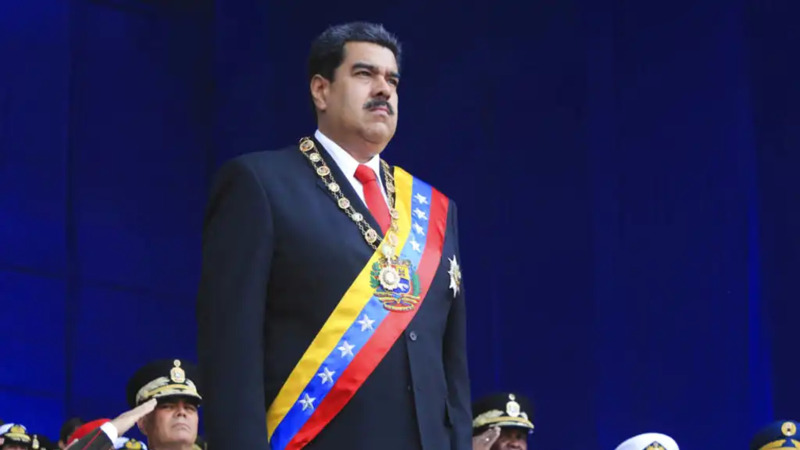 The bold challenge to Maduro's rule came just two weeks after Maduro's decision to ignore international opposition and take the presidential oath to a second six-year term widely considered illegitimate after his main opponents were banned from running against him. Raising his right hand in union with tens of thousands of supporters, Guaido, the fresh-faced head of the opposition-controlled congress, took a symbolic oath to assume executive powers he says are his right under Venezuela's constitution and to take over as interim president until he calls new elections. 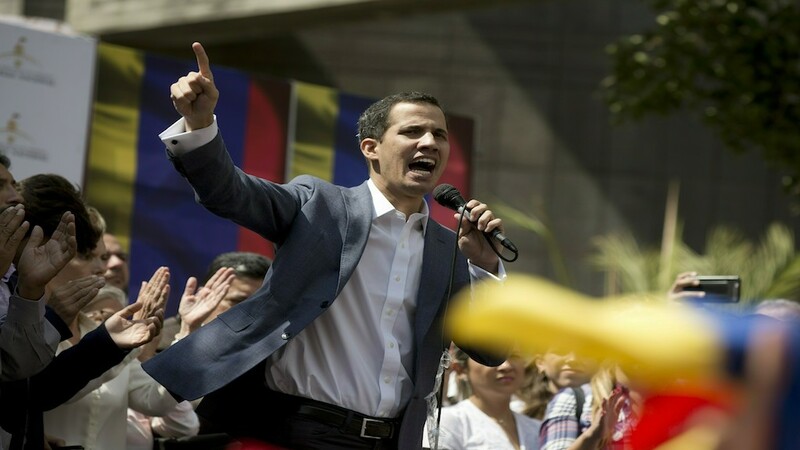 Guaido, 35, said he was taking the politically risky step just two weeks after Maduro took his own oath to a second six-year term because it was the only way to rescue Venezuela from "dictatorship" and restore constitutional order. "We know that this will have consequences," he shouted, moments before quickly slipping away to an unknown location amid speculation he would soon be arrested. "To be able to achieve this task and to re-establish the constitution we need the agreement of all Venezuelans." Guaido's declaration came as tens of thousands of anti-government demonstrators poured into the streets Wednesday accusing the embattled Maduro of usurping power and demanding he step down as the country reels from a crushing economic crisis that has forced millions to flee or go hungry. Large crowds gathered in Caracas waving flags and chanting "Get out Maduro!" in what was the largest demonstration since a wave of unrest that left more than 120 dead in 2017. "Join us!" the protesters cried out to a line of officers wearing helmets and carrying shields. "You are also living this crisis!" Pro-government demonstrators also marched in the capital, at times crossing paths with opposition protesters and shouting "sell outs" and "traitors." National guardsmen launched tear gas at anti-government protesters in the middle-class neighborhood of El Paraiso but for the most part the marches continued without conflict. Wednesday's protest was considered a crucial test for the reinvigorated opposition as it seeks to send a forceful message that Maduro no longer has the people's backing and appeals to the military and the poor to shift loyalties that until recently looked solidly behind the president. The protests were called to coincide with an historic date for Venezuelans — the anniversary of the 1958 coup that overthrew military dictator Marcos Perez Jimenez. Retired Major General Cliver Alcala, a one-time aide to Chavez and now in exile, said the opposition's newfound momentum has reverberated with the military's lower ranks, many of whom are suffering the same hardships as regular Venezuelan families. A view from the outside: Is hostility towards Venezuela a wise move?